Samsung Electronics Co. reported its first earnings gain in more than a year on Thursday as a record profit from computer chips masked a decline in its smartphone business. Its third-quarter net income was KRW 5.3 trillion (roughly Rs. 29,993 crores), up 28 percent over a year earlier. That was lower than the KRW 5.6 trillion forecast in survey of analysts by financial data provider FactSet. Samsung posted a record profit for its semiconductor division helped by its supplies to Apple and favorable currency exchange rates. But the company’s smartphone business posted its lowest profit in three quarters, after it cut prices for some of its high-end Galaxy smartphones. Sales of KRW 51.7 trillion were up 9 percent from a year earlier. Operating profit jumped 82 percent to KRW 7.4 trillion. Samsung’s stock price surged as much as 4 percent after it announced a plan to increase shareholder returns, including buying back and cancelling $10 billion (roughly Rs. 65,203 crores) worth of stock. It also promised to return as much as 50 percent of its annual free cash flow to shareholders for the next three years. In the July-September quarter, Samsung posted KRW 3.66 trillion (roughly Rs. 20,865 crores) in operating profit from its semiconductor division alone, accounting for about half of the company’s overall profit. Samsung said its revenue from the foundry division, which supplies application processors powering Apple’s iPhones, increased from the previous quarter. Lucrative display panels known as OLED helped Samsung’s display division earn KRW 0.9 trillion in operating profit. 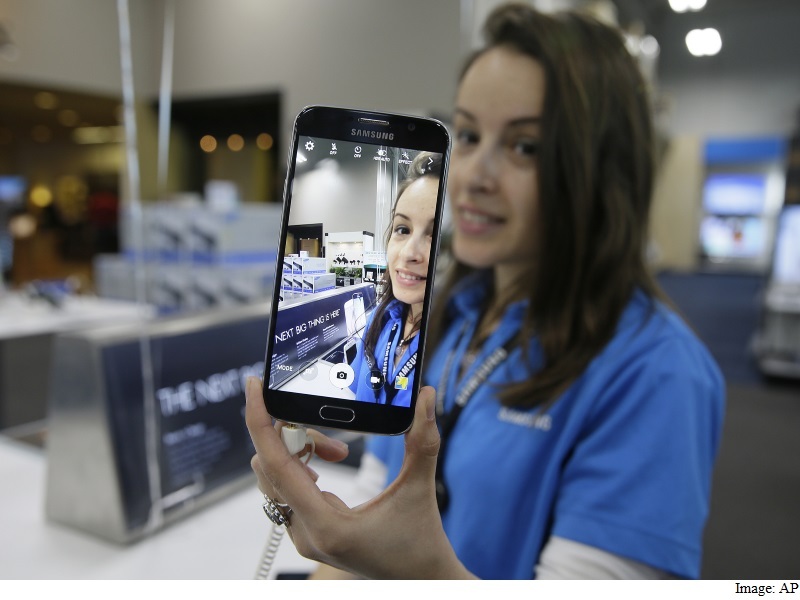 Samsung said it secured supply deals with a wider number of smartphone makers around the world for its OLED screens. Samsung’s components business also reaped benefits from a strong dollar and a weak local currency. Samsung said the favorable foreign exchange rates generated KRW 800 billion of income mostly from its components business. But its operating profit from its mobile business slid to KRW 2.4 trillion (roughly Rs. 13,040 crores) from KRW 2.8 trillion in the second quarter, even though Samsung released premium smartphone models more quickly than previous years and expanded its handset models using curved screens. The company also rolled out Samsung Pay, a mobile payment service, for its Galaxy phone users in South Korea and the US. Samsung said mobile profit declined despite higher phone shipments and a slight increase in revenues because growth came from cheap handsets. Price cuts for its Galaxy S6 (Review | Pictures) and Galaxy S6 edge (Review | Pictures) smartphones reduced its profit margin.